Well, I hated to do it but it was necessary. 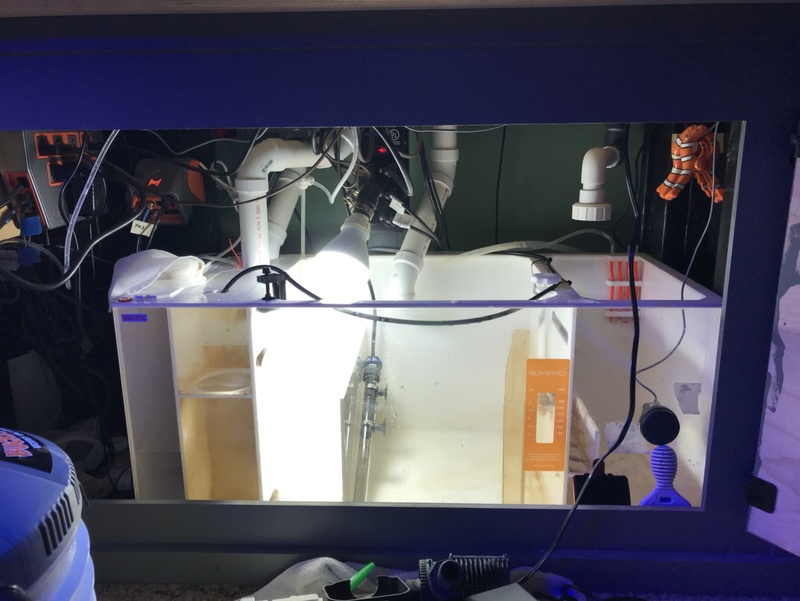 Tank and sump have been cleaned and sterilized. Let’s hope this rebuild is as successful as my first 10 months were originally. I’m reverting everything back to June 2016 when everything was thriving. New, open rockwork is in and wet! Cycle starts tomorrow. Looks like a real good 'Restart' Jessie - Good Luck! hoping the best of luck in your reset. Now please tell me those are custom painted clown clamps in the sump! 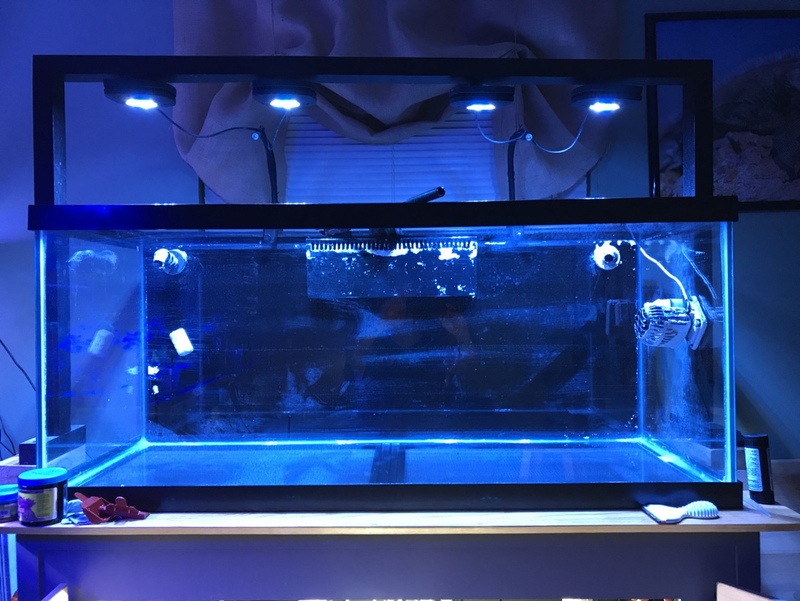 Thanks to Nbehnken for modding and selling his T5/LED Hybrid fixture. Got my 4 Prime HD’s installed and the fixture hung tonight. Still need to replace the bulbs but waiting for Aquatic Life to send me the new bulb clips....for free! I love the fixture, it’s a great combo! Looking good! I've always loved the 75g footprint. Looks good Jesse. 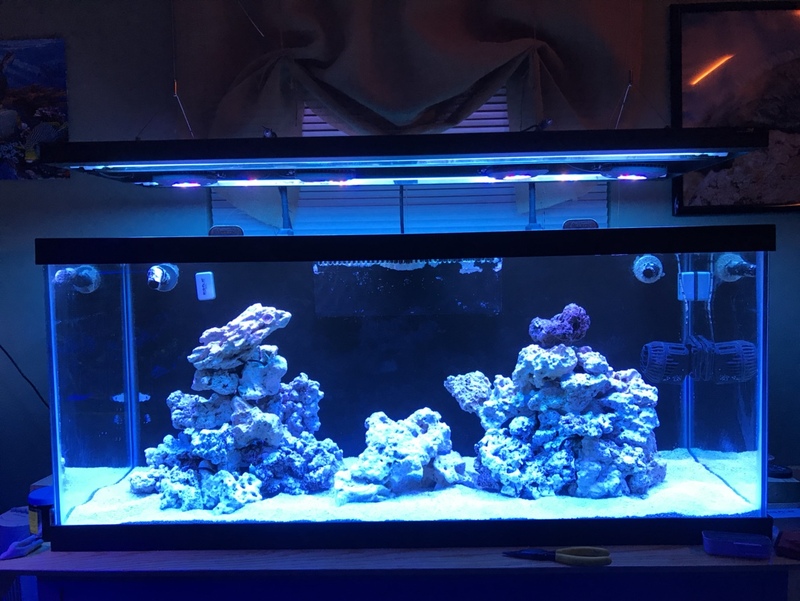 I really like the addition of t5s to leds. Leds tend to shadow a lot and the t5s really fill in the shaded areas. First batch of new fish for the 75. They look big in my 29g QT but the biggest fish is the Yellow Tang measuring in at a whopping 2.5” to 3”! Paul @ Gerbers said all these fish have been at the store for at least two weeks. That’s a big reason I went with these particular ones. I know the Naso will outgrow my tank, but I’ve never had this type and wanted to try one out. With my rock work as open as it is, it shouldn’t be much trouble catching him in a year or two. The yellow I got from gerber’s has been super healthy and happy. Same for the orange shoulder but that had been there three months until I picked it up. Honestly, I’ve only had a couple fish from Gerbers die on me out of years of buying fish there. 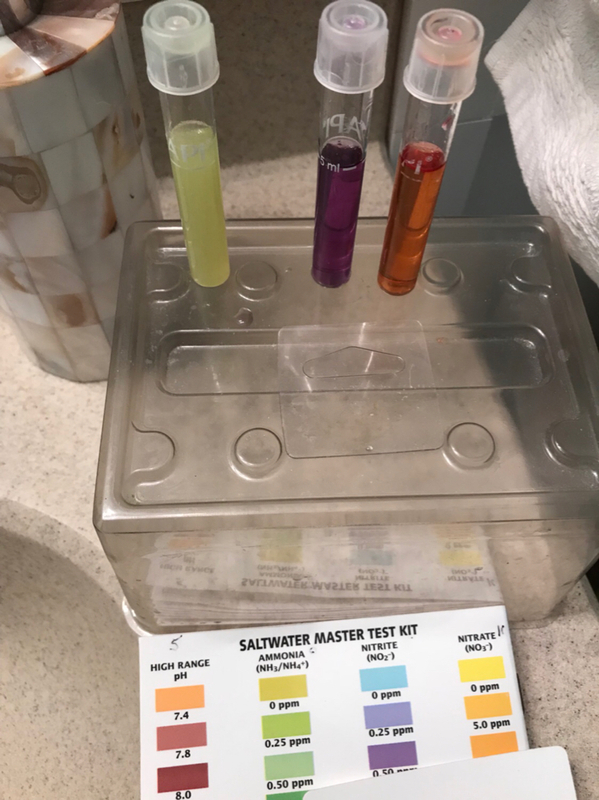 I also have to say this was the least painful experience that I’ve ever had because I took the salinity down to 1.021 prior to heading to Gerbers. The fish were actually at 1.022. After about an hour they are swimming around and pecking at the rocks like they’ve been in there forever. The Naso even drastically changed color. So I’m optimistic that all these guys are going to do well. Best of luck with the new fish! 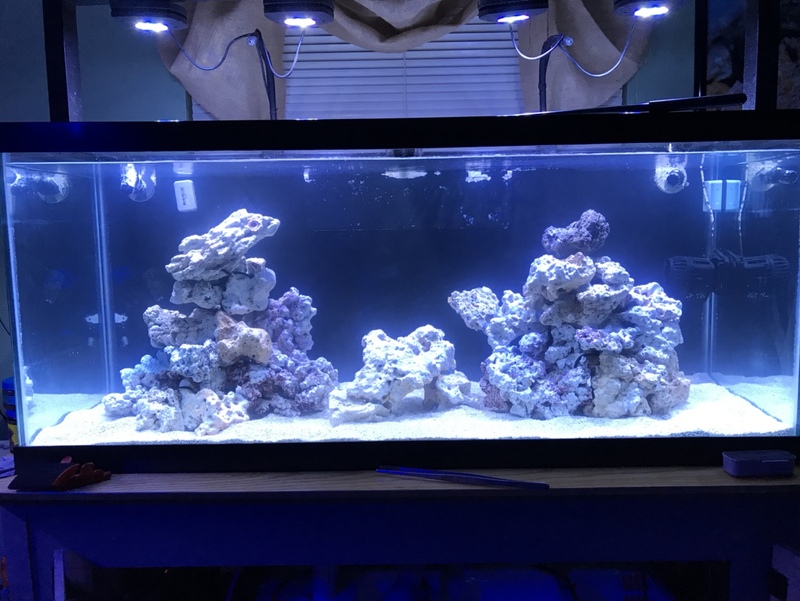 Quick update, first corals and new fish moved in. Transferred Melvin the Melanarus and Glenn the blenny.